Employers cut payrolls by 62,000 in June, the sixth straight month of nationwide job losses, underscoring the economy's fragile state. 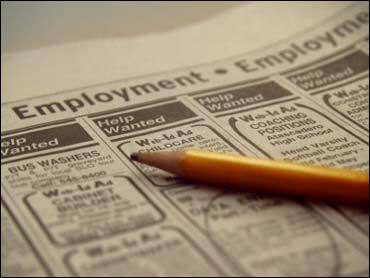 The unemployment rate held steady at 5.5 percent. The latest snapshot of business conditions, released by the Labor Department on Thursday, showed continued caution on the part of employers who are chafing under high energy prices and are uncertain about how long the economy will be stuck in a sluggish mode, reflecting fallout from housing, credit and financial troubles. Since the beginning of 2008, roughly 400,000 people have lost their jobs, CBS News correspondent Jeff Glor reports. Heavy job losses in construction, manufacturing, business services and retailing eclipsed job gains in education and health services, leisure and hospitality, and government. The report was largely on target with economists' forecasts. They had been expecting employers to reduce payrolls by around 60,000 jobs in June and for the unemployment rate to slip a notch to 5.4 percent. The jobless rate spiked to 5.5 percent in May. That marked the biggest over-the-month increase in two decades and left the rate at its highest since October 2004. Job losses in both April and May turned out to be considerably deeper than had been thought. Payrolls dropped by 67,000 in April, versus the 28,000 previously reported. And, losses in May came to 62,000, rather than the 49,000 initially estimated. Also Thursday, oil prices neared $146 a barrel Thursday for the first time ever on reports of declining U.S. stockpiles and the threat of conflict with Iran. Comments by Saudi Arabia's oil minister suggesting his country had no immediate plans to boost production also lifted prices. So far this year, the economy has lost a total of 438,000 jobs, an average of 73,000 a month. The economy is the top concern of voters. The faltering labor market is a source of anxiety not only for those looking for work but also for those worried about keeping their jobs during uncertain economic times. In a separate report from the department, the number of newly laid off people signing up for unemployment insurance rose sharply last week. New applications jumped by 16,000 to 404,000, the highest level since late March. The increase was bigger than economists were expecting; they were forecasting claims to rise to around 385,000. With inflation concerns growing, the Federal Reserve last week ended an aggressive rate-cutting campaign, started last September to shore up economic growth. Fed Chairman Ben Bernanke and his colleagues are caught between risky crosscurrents of plodding economic growth and spiraling energy and food prices that threaten to spread inflation. Lowering rates further would worsen inflation. But boosting rates too soon to fend off inflation could hurt the fragile economy. Average hourly earnings rose to $18.01 in June, a 0.3 percent rise from May. That matched economists' forecasts. Over the past year, wages have grown 3.4 percent, the smallest annual increase since January 2006. Paychecks, though, aren't stretching as far because of high food and energy prices. In its latest economic assessment last week, the Fed observed that "labor markets have softened further." However, the Fed believed that its powerful series of rate reductions along with the government's $168 billion stimulus package, including tax rebates, will help lift economic growth over time. Some economists fear that when the bracing force of the rebates fades, the economy could be in for another rough patch. Those analysts worry that the economy - which has been coping with sluggish growth at best - will have a "relapse" and lose momentum near the end of this year. There's been a lot of talk about whether the economy is on the brink of, or has fallen into, its first recession since 2001. The official determination, made by a panel of academics, usually comes well after the fact. Economists expect the unemployment rate to hit 6 percent or higher early next year, even if the economy were to show better growth. Companies will be reluctant to ramp up hiring until they feel certain the economy will stay on firmer footing.